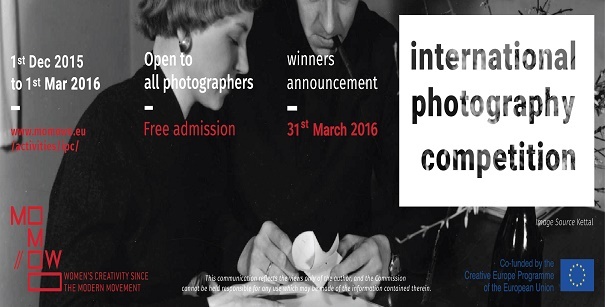 January 5, 2016 /Photography News/ The MoMoWo – Women’s creativity since the Modern Movement – project is hosting an international photography competition to document women designer’s own home. The competition seeks to promote the MoMoWo mission, portraying professionals women (architects, civil engineers and designers) inside the house designed for themselves and for their families. The Women’s creativity since the Modern Movement International Photographic Competition is co-funded by the Creative Europe programme of the European Union. Only one individual or group entry is allowed. The competition is free to enter. Mode of registration is online. Information Provided by you Guys.. I found here many useful things here, thanks for share this great post. I also like the photography,this post is very useful for me,thanks for sharing. The competition will be the tough one. Nice blog, i have got here many useful thinks for reading, I just amazed to see this great post. 96 comments so far. What do you think?